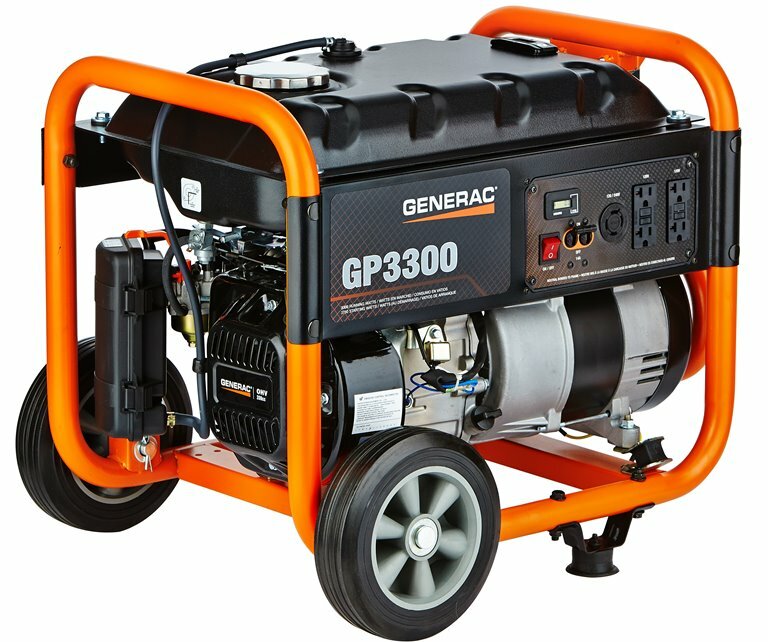 THE GENERAC'S OHV ENGINE: with splash lubrication provides a long engine life. HARDENED STEEL TUBE CRADLE: for added durability and strength. HEAVY-DUTY, NEVER-FLAT WHEELS: for reliable portability. 20A TO 30A RV ADAPTER: makes your RV and your generator compatible. Run Time @ 50% Rated Load - 10.25 hr.